Messiah College is a nationally ranked private Christian college with a student body of 3,331 undergraduate and graduate students. Undergraduate students who come to Messiah join a Christian community coming together from many different places and many different Christian backgrounds to learn, worship, and live together. They discover a hospitable campus where seemingly opposite ideals such as faith and intellect, work and play, discipline and imagination, and harmony and difference coexist. The College is situated on 471 scenic acres just 12 miles from Harrisburg, Pennsylvania’s capital, and approximately two hours from the major urban centers of Philadelphia; Washington, DC; and Baltimore. 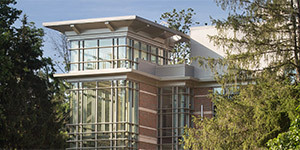 Recognized for its ongoing sustainability initiatives by The Princeton Review, the US Building Council, and the National Association of Independent Colleges and Universities, the campus has a distinctive suburban, residential atmosphere. 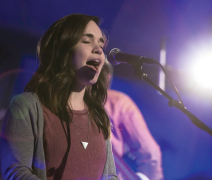 Messiah College weaves opportunities for spiritual growth throughout a student’s college experience. We incorporate faith in the classroom, through residence life, at chapel, on sports teams, through the arts, and in clubs and organizations. Students can join small groups, ministry outreach teams, community service, and mission trips. We are committed to helping and challenging students to know how God is revealed through scripture, to be a follower of Christ, and to prepare for whatever mission, vocation, or service they are called to fulfill. 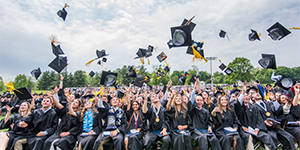 Messiah College awards degrees in more than 150 majors, minors, concentrations, and pre-health professions advising options. We also offer extensive off-campus study, individualized majors, independent study, undergraduate research, service learning, internships, allied programs in partnership with other institutions, a flourishing College Honors Program, and several graduate programs. Teacher certification is available in many disciplines. The College operates on a two-semester academic calendar, with an intensive three-week course of study, January Term, offered between the fall and spring terms. A three-week May Term immediately follows the spring term and is exclusively for cross-cultural studies. Messiah offers extensive study abroad opportunities in more than 40 countries. The College selects its educators for their Christian commitment as well as their proven teaching ability. They are outstanding scholars, authors, artists, and experts in their chosen fields. Eighty-five percent of the College’s 197 full-time faculty have earned the terminal degree in their field. All classes at Messiah College are taught by professors rather than teaching assistants. The student-faculty ratio is 12:1. The College’s Career and Professional Development Center is nationally recognized for excellence in training students for today’s workforce and has been instrumental in the consistently high post-graduation placement rate of graduates. A survey by the College’s Career Center found that 97% of Class of 2017 respondents were employed or in graduate/professional programs within nine months of graduation. One hundred percent of first-year students received some form of financial aid in the 2017–2018 academic year. The average first-year student aid package was $26,241 (not including PLUS and alternative loans). Students can participate in more than 70 student groups and organizations, including theatre and music groups, recreational sports, and a student-produced radio station. The College’s Student Government Association (SGA) represents the student body and develops students’ leadership skills. The College has been widely recognized for this effort, earning top honors from many notable organizations. Since 2012, Messiah has been a member of the National Together for Tomorrow School Improvement Challenge, an initiative of the White House Office of Faith-Based Initiatives and Neighborhood Partnerships. Messiah was also named to the national President’s Higher Education Community Service Honor Roll, with Distinction, and was awarded the Carnegie Foundation for the Advancement of Teaching’s prestigious Community Engagement Classification for Curricular Engagement and Outreach and Partnerships. Messiah students come from 37 states, 32 countries, a full spectrum of cultures, and many different Christian faith traditions. Approximately 13% of students are from underrepresented racial, ethnic, and cultural populations, and 5% are international students. To encourage students to think critically and emphasize that Christians can disagree and still be kind, the College often hosts groups whose views differ from many within our own community, with the goal of honoring one another’s differences while sharing a common love of Christ. Messiah College competes in 22 intercollegiate sports and maintains one of the most successful NCAA Division III athletic programs in the nation. Messiah athletes have garnered 28 national championships and regularly achieve national rankings and conference titles. Messiah athletes have been recognized as All-Americans and have been featured in Sports Illustrated and USA Today and on national network television. Several coaches have received national coaching awards. Messiah seeks students with demonstrated academic promise who wish to share in the College’s Christian community and encourages transfer, home-schooled, international, and minority students to apply. Selective in our admission policy, the College considers academic achievement, extracurricular involvement, leadership skills, and Christian service. Approximately 60% of first-year students are in the top 25% of their class, and approximately 93% earned an academic scholarship ranging from $12,000 to full tuition. In recent years, Messiah has produced graduates who have distinguished themselves as Rhodes, Fulbright, Carnegie, Boren, and Truman Scholars.